Facial nerve stimulation (FNS) can be considered as one of potential complications of the cochlear implant (CI) procedure. A number of conditions have been identified that appear to predispose patients to facial nerve stimulation. Facial nerve stimulation can frequently be resolved with minimal changes in speech processor fitting but this may lead to reduction in the outcome. To overcome the aberrant FNS after cochlear implantation with preservation of patient performance. 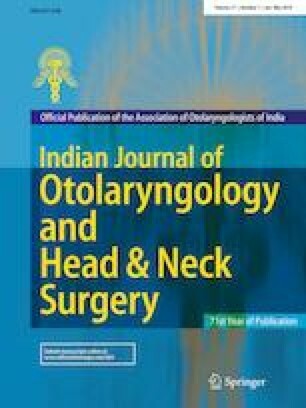 A retrospective review has been made of the clinical features of 2 patients out of 175 children younger than 17 years of age consecutively implanted, from April 2014 to December 2017 (in the ENT Department at the National Hearing and Speech Institute, Egypt). These 2 patients developed post-implantation facial nerve stimulation. Changing the programming strategies help to overcome this complication. FNS is one of the most frequent complications of the CI procedure. It can produce significant discomfort, in some cases may lead to limiting the use of an implant. So, preoperative counseling of the patient and surgical planning, is essential to avoid such complication. The management of FNS requires awareness with programming techniques and, in some cases, surgical explantation or re-implantation.